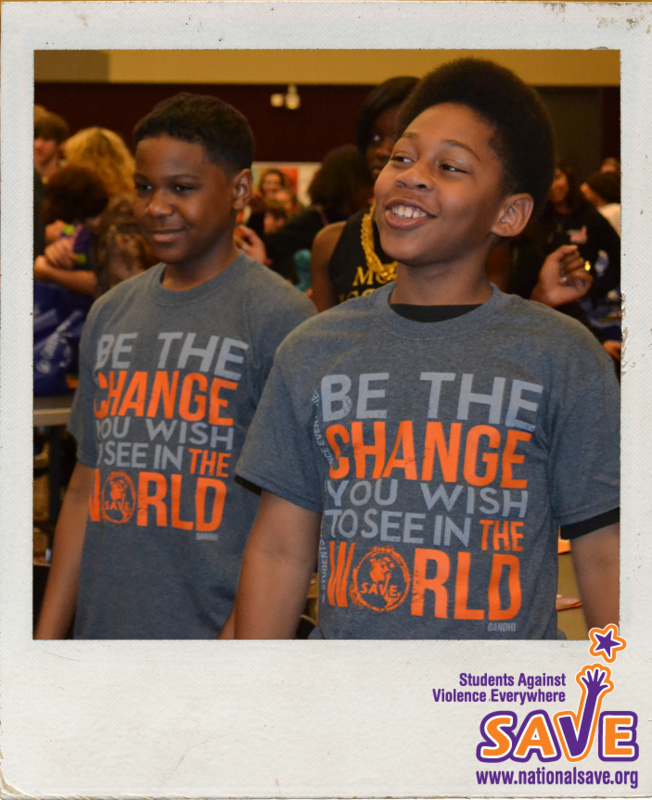 SAVE stands for “Students Against Violence Everywhere,” and Kars4Kids was very pleased to partner in this work by way of the Kars4Kids small grant program. When we give out a grant to a worthy organization, we like to tell our readers about that organization’s work. That’s how we ended up talking with Haley Abernathy who chaired SAVE’s National Youth Advisory Board while also serving as president of her high school SAVE chapter at the Highland School of Technology in Gastonia, North Carolina. Kars4Kids: Your story references SAVE/Rachel’s Challenge Club. Tell us about that. Does SAVE collaborate with this program? Haley Abernathy: Rachel’s Challenge centers around Rachel Joy Scott. She was the first person killed at the Columbine shooting. 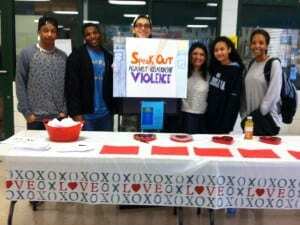 This organization promotes making a change by sparking a chain reaction with acts of kindness. 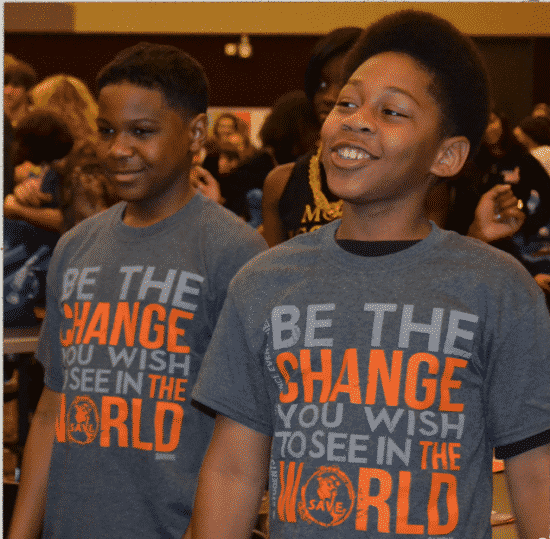 My SAVE chapter at Highland School of Technology collaborated with Rachel’s Challenge club. We worked together on many service events. Kars4Kids: What were your responsibilities as Chair of the National Advisory Board for SAVE? Haley Abernathy: I lead some group discussions at the summer institute (when all the members of the youth advisory board meet) and I lead some discussion at the Summit. I am responsible for motivating the other board members to complete their tasks. I am on the Board of Directors as well. I also help Carleen [Wray, Executive Director of the National Association of Students Against Violence Everywhere (SAVE)] with anything she may need throughout the year. Other than this my responsibilites are the same as the other board members. Some of the most important things we all are responsible for are articles, the question of the month, planning the summit, and setting up various other events and themes throughout the year. Kars4Kids: How many hours do you give to your SAVE responsibilities? Does your work with SAVE make it difficult to get to your school work? 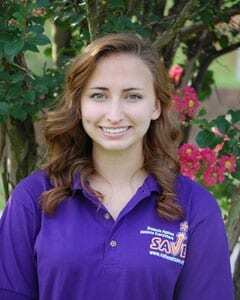 Haley Abernathy: I spent the most amount of time on SAVE during the summer and the month of the SAVE summit. It may have been hard at first to juggle school and SAVE (along with other clubs), but by the end of high school I had become very efficient in time management. This is one of many ways SAVE has helped me grow as a person. 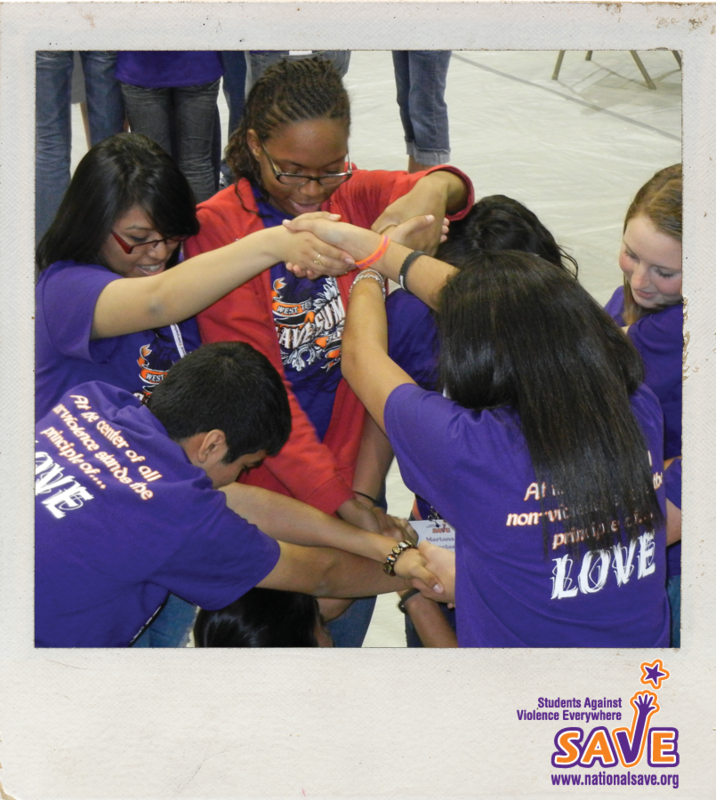 Kars4Kids: Do you see yourself staying in SAVE beyond high school? Will you always be part of SAVE? Haley Abernathy: I will always help with SAVE even though I won’t be on the Youth Advisory Board anymore (only high school students are on the board). I plan to stay in contact with Carleen in order to know when my help is needed (and also because Carleen is an awesome person). I have been looking into how to start a SAVE chapter at the college I will be attending in the fall. Kars4Kids: A lot of the bullying prevention materials say that a victim of bullying should tell an adult and the adult will do something to help. What can adults do about a known case of bullying? Haley Abernathy: An adult has the power to protect a victim of bullying by simply stepping in and being an authority figure. Most importantly adults can notify the authorites if needed as well as the parents of the people involved. This way repercussions and counseling can be given to the bully while the victim also receives counseling in order to recover from the bullying experience. Kars4Kids: How does SAVE empower someone during an episode of violence. Haley Abernathy: SAVE does encourage students to stop a bullying situation if it is within their ability to do so. Students must account for their own safety and ability to handle certain situations. SAVE really focuses on the prevention of violent situations instead of intervention. This is why it is important report any signs of bullying before it escalates. The SAVE website offers some brochures on violence prevention. I personally like to encourage people to try to always be kind and level-headed so that conflict is limited. Haley Abernathy: I have gained a lot of violence prevention knowledge and I really developed a love for community service. Also, SAVE allowed me to grow as a person by gaining communication and leadership skills. Kars4Kids: Has being involved with SAVE changed you? How? Kars4Kids: What happens at a typical meeting of a SAVE chapter? Haley Abernathy: I can almost guarantee that each chapter does it a bit differently which is one of the beautiful aspects of SAVE. The chapters are uniquely self-organized and can therefore learn from each other. My chapter usually discussed all upcoming events; planned events; brainstormed new ideas to spread our message; and frequently made posters to advertise events and promote violence prevention. Kars4Kids: Tell us about some of the more successful drives or events you’ve been involved with under SAVE auspices. Haley Abernathy: The X-the-Text event is a very large campaign. This campaign asks students to pledge to refrain from texting and driving. Kars4Kids: Correct us if we’re wrong, but we’re assuming your high school isn’t crime-ridden, compared with some other inner city, low-income neighborhood schools. Have you come in contact with students from such low-income areas? What have you learned from these students? Haley Abernathy: No, my high school is not crime-ridden. I have come in contact with students from low-income schools and I find that some of those students also want to make a difference just like I do. Kars4Kids: Do you always wear orange and purple? Do you get a little sick of these colors, sometimes? Haley Abernathy: I do wear orange and purple for a lot of SAVE events. Honestly I don’t have a lot of orange in my everyday clothing, but i do have a lot of SAVE shirts! I have not gotten sick of these colors at all. As colors alone orange and purple are not very special. However, as SAVE colors they have a meaning and I really like what these colors stand for. Purple stands for non-violence while orange represents Alex Orange. Alex is a young man who died while taking a stand against violence. His best friend started SAVE in his honor. Kars4Kids: If you had been at the Pulse nightclub during the terror attack, was there something you could have done to stop the violence, based on what you’ve learned at SAVE? Haley Abernathy: At this level of violence direct intervention would be extremely unsafe for anyone. Alerting the authorities, keeping myself safe, and keeping others safe would be my main priorities. Kars4Kids: What’s next for Haley Abernathy? Haley Abernathy: I will be attending college with a major in biology and a minor in history. I will also be in the pre-medical program. I will always continue to volunteer with SAVE and participate in community service. Many of the teens in SAVE come with baggage, having been bullied by their peers. Kaitlyn G. Wade, a high school senior this year, who dreams of joining the Air Force and becoming a nurse, is one such teen. “When I first joined SAVE I had few friends because I was a bit anti-social and shy, but I’d also been made fun of for being a crybaby and tattletale. I made a friend who was quite literally the most bullied child because people saw her as weird and different and nerdier than the rest. Kars4Kids: Why were you called a tattletale and a crybaby? 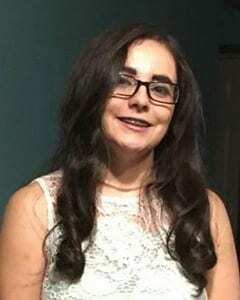 Kaitlyn G. Wade: I was often targeted for being a tattletale, if I had seen something that was out of line or bad since elementary school, I would point it out and tell a person of authority. Whether it be something small, like somebody stole a bunch of candy or if it was something bigger, like a group of people vandalizing school property. Once people knew I was a tattletale, I became avoided by kids, bullied by many, and a target for bullies. I was called a crybaby, and I admit I was and probably still am to some extent. I am naturally just sensitive to my own imagination once something may be said or something I see becomes a thought in my head and just digresses into a “daymare” or something that would constantly affect my emotions, like a trigger of sorts, but I’ve gotten my handle on this and have adjusted, but I am still uncomfortable from time to time if I let my mind wander too much and it goes down some dark paths. Back then, I would suddenly start crying and I am horrible at trying to stop and not cry, I’ll cry for 30 minutes trying to get a hold of my emotions in vain to begin another flood of tears. People at first were mainly concerned, but when bullies found out, well you understand what is happening at that point. I would distance myself further from most, but still hang out with the kids I trusted and may still trust today. Kars4Kids: What made you want to be friends with this girl? Kaitlyn G. Wade: The thing that drew me to her was a simple hobby we loved, and that was art. We drew in nearly every class, and when it came to it, we did outstanding partner work on projects. We drew unordinary things. We drew monsters, characters we like, and other things that were uncommon to many in middle school, we even drew anime characters before anime boomed in our generation. Kars4Kids: What kind of rumors were they saying about her? Don’t get me started on how many vulgar curses were said to her. The cursing from these children were ugly-colored spells of a sailor. She never said anything back though, and that is what confused me and infuriated me to my core. The kids would blame stuff breaking, or being stolen, on her. Things as simple but demoralizing as that, constantly. Kars4Kids: How was she bullied? Kaitlyn G. Wade: Kids would laugh at her; give her cold looks; insult her; push or shove her; blame her for acts committed none other than by the bullies themselves; while some even tried to fight her. 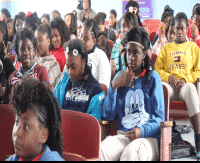 Kars4Kids: Did your sticking by her make a difference in her situation? Kaitlyn G. Wade: I felt like a shield during these times. I would rebuke anyone for making negative statements; prove bullies wrong; insult bullies so as to ward them off; warn teachers and tattle. I wanted to protect her because she was probably in my past self’s eyes, my everything. I would do my best to make sure she was happy and didn’t have to worry about the bullies. 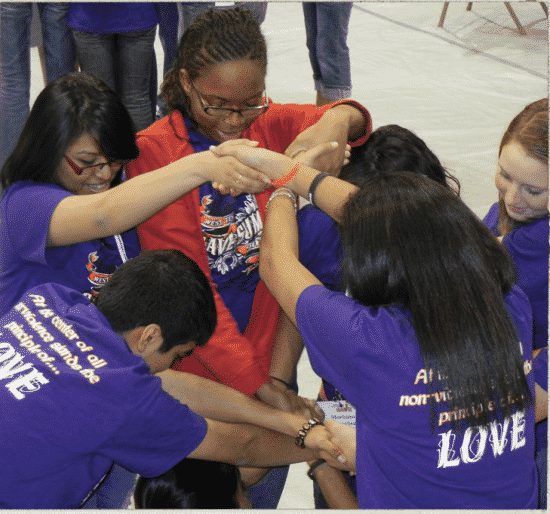 Kars4Kids: What can kids do if they see a peer being bullied? Kaitlyn G. Wade: Kids can do so many things if they see a peer being bullied but they’re too scared to do anything. Kids can: step in to aid and protect the peer; step in and ward off the bully; get a teacher or someone of authority; get help from other students to take a stand against a bully. We are just too scared to try in fear of something going wrong. I know, because I used to be in that spot. Kars4Kids: How would SAVE help someone like you or your friend? Kaitlyn G. Wade: SAVE in my, and possibly other people’s opinions, serves as a safe home or place of equality where there is no fear of the dangers that may lurk in the social environment. It is both a sanctuary and a friendly social environment. Half a year after I truly got to know my friend, SAVE was introduced to my middle school and I pounced on the opportunity to make a difference. She didn’t want to join, and I wasn’t going to push someone into an environment they don’t want to be in, that would be just as bad as a bully and I didn’t want to make her upset. SAVE does help bullies and victims seek change in their lives. It may be slow for some because we’re all different in our own ways. It serves as a… not a reset but like an alternate route in a path, a choice for better or worse, and for their sake, I hope a better one. I have been using the life and social lessons in SAVE to change how I take on situations in life that call for action, the way I go about them is different. It truly depends on how well I may perceive a situation and how open-minded I can be upon analyzing all options. Getting to teach lessons from SAVE to the young elementary students, locally, is a delight, because when kids learn and practice kindness and open-mindedness, they will pass it on, and seeing a bright generation’s future like that, being possible, is mind blowing. Kars4Kids: Give me some examples of what you learn in the SAVE life and social lessons. For instance, when you talk about handling situations differently do you mean you have learned to open up your mind to wider perceptions and as a result, you don’t automatically take insult, feel hurt, etc.? You are willing to see things neutral or even positive, that you automatically used to think/feel were negative/hurtful, and so forth? Kaitlyn G. Wade: Yes, I may take hurt to some things, but I do the best to my ability to understand why someone may have said/done something. I try my best to be neutral or positive in a neutral way upon certain subjects and circumstances, so as to have balance and peace. I used to, and still somewhat, take some things negatively, but if it’s something I can brush off, I’ll brush it off. If I’ve been insulted and I may know it’s right, I use it as constructive criticism to improve myself. In a way—yes—I’m trying to create a mold for young individuals to grow into. To embrace the positives of being open-minded, different, and caring. if the benefit of doubt is there, be passive, but if there is proof and wrongdoing needing to be corrected, change must take place.